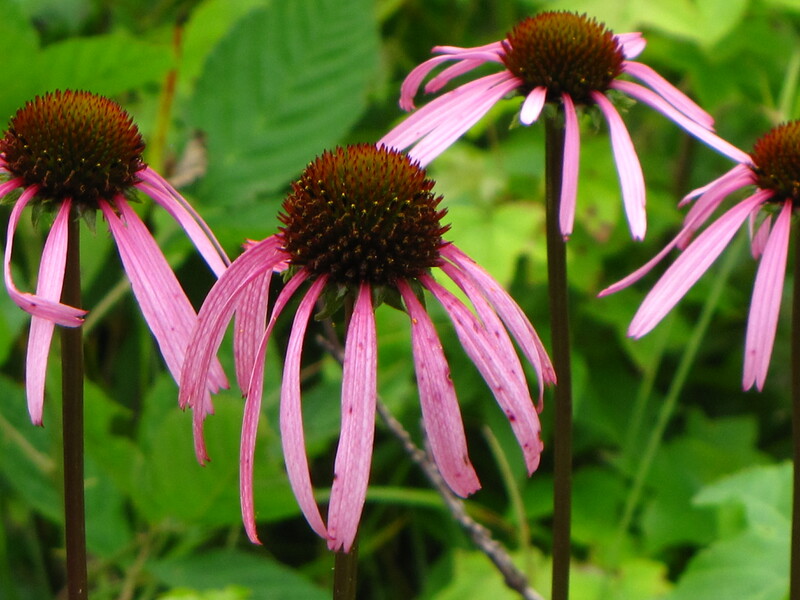 Echinacea laevigata – the Smooth Coneflower – is among the rarest plants in North America. It is not mentioned in the B. W. Wells classic The Natural Gardens of North Carolina. More significantly, the historic habitat of the Smooth Coneflower (Piedmont Prairie or Piedmont Savannah) is not among the eleven natural gardens listed in his book, undoubtedly because these historic habitats existed during his lifetime only in tiny pieces. 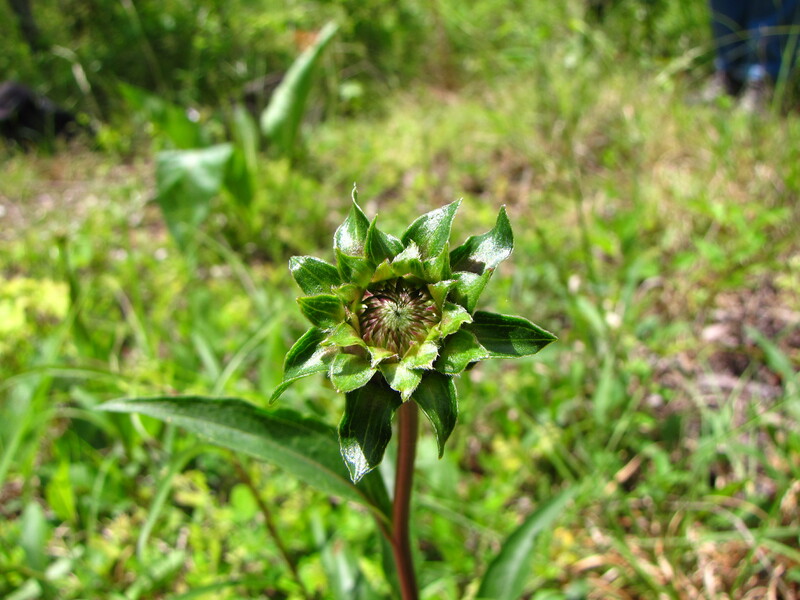 The Smooth Coneflower is now found almost entirely in small, disconnected patches in four states: North Carolina, South Carolina, Virginia and Georgia. It is federally protected under the Endangered Species Act and is state protected by the North Carolina Plant Conservation Program. 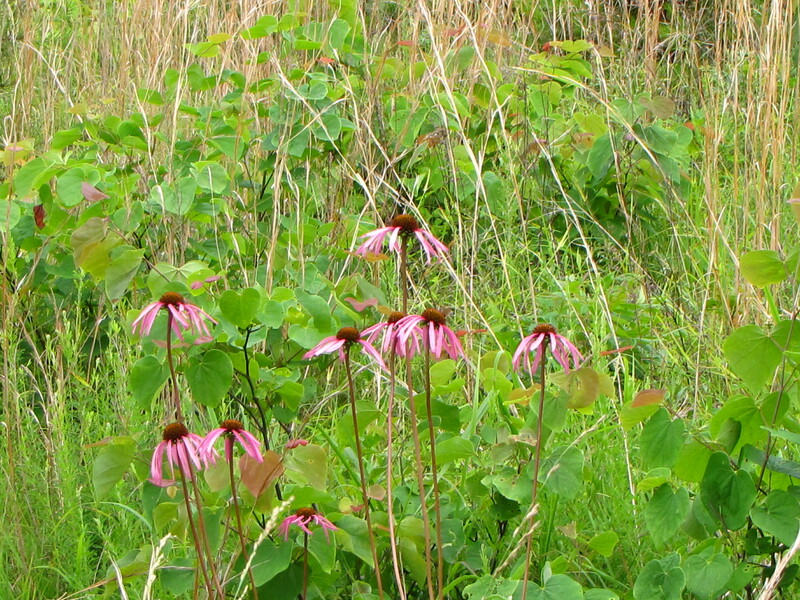 Conservation of the Smooth Coneflower depends greatly on habitat management, which emphasizes restoring the sites where the coneflower exists by thinning trees (especially loblolly pines), and utilizing a program of prescribed burns. Some sites have unsustainably small populations; less than ten plants. 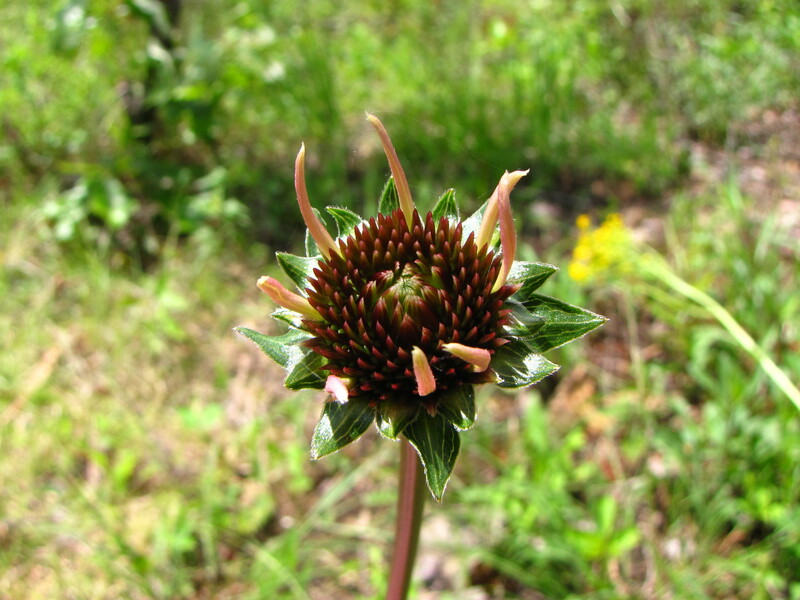 Augmentation of these sites, by growing plants from achenes specific to the site, is a helpful management tool and affords the opportunity to observe the biology and development of the Smooth Coneflower throughout an entire life cycle. Achenes are technically a fruit, and those of the Smooth Coneflower look like little dry, wooden spear tips. 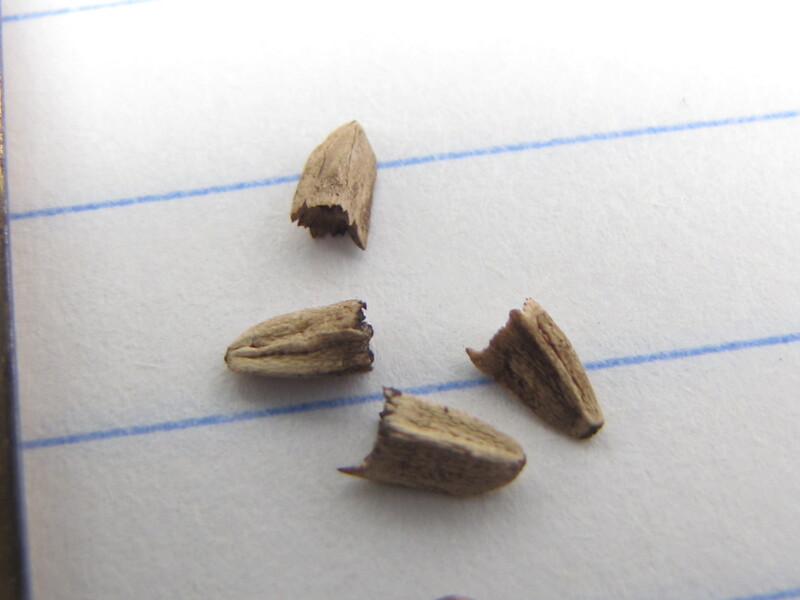 They require stratification to break down the woody shell and release the embryo to germinate. 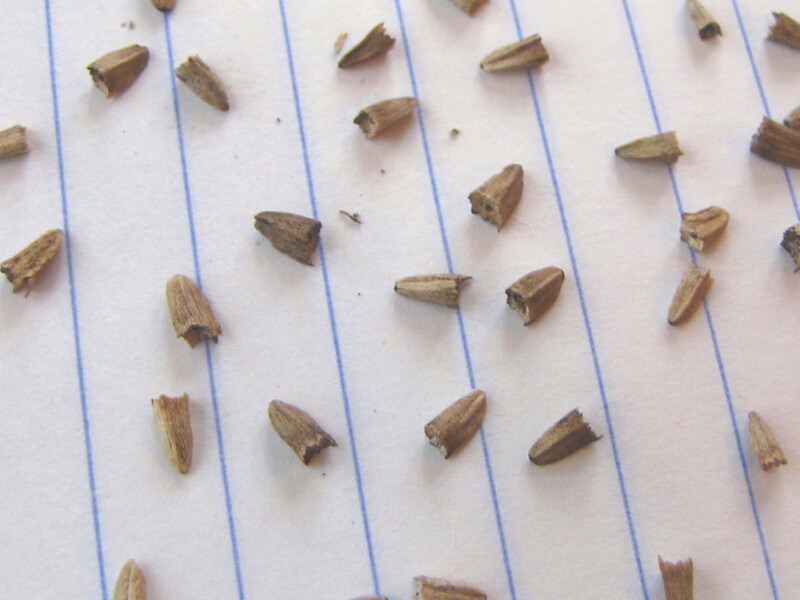 The achenes germinate by releasing small, rounded embryonic leaves (cotyledons) in late February through April, with most germinating in March. 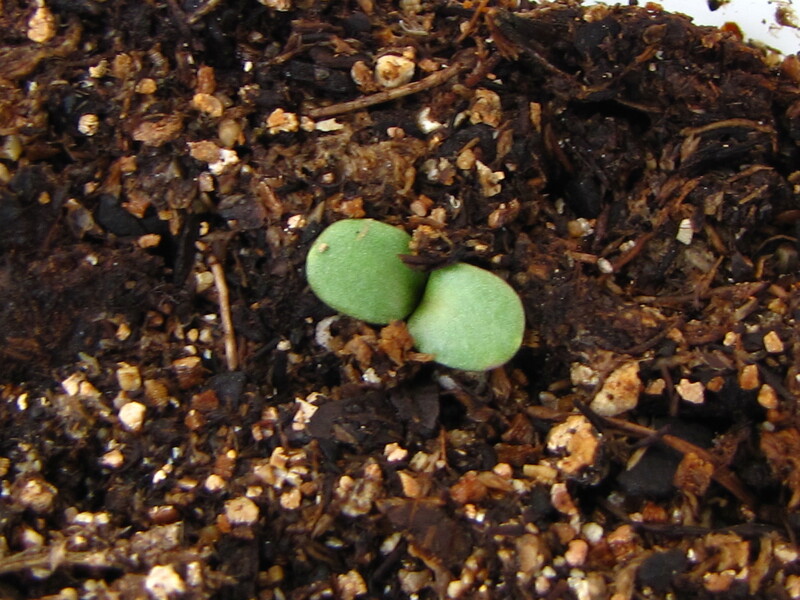 In field conditions, the small cotyledons are very difficult to find. 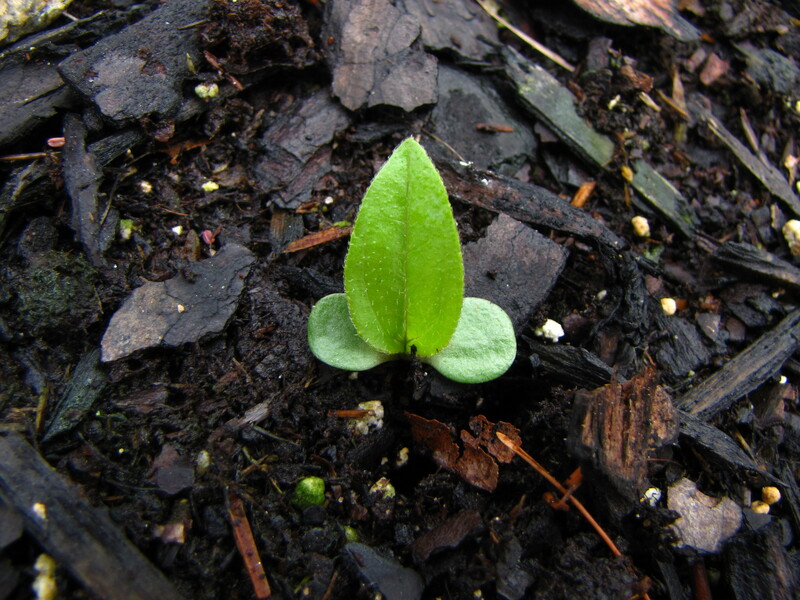 In several weeks, a single true leaf emerges. More leaves come forth as the small plants grow. By late August, most of the coneflowers are fully developed. Typically, they do not bloom until the second year of growth. 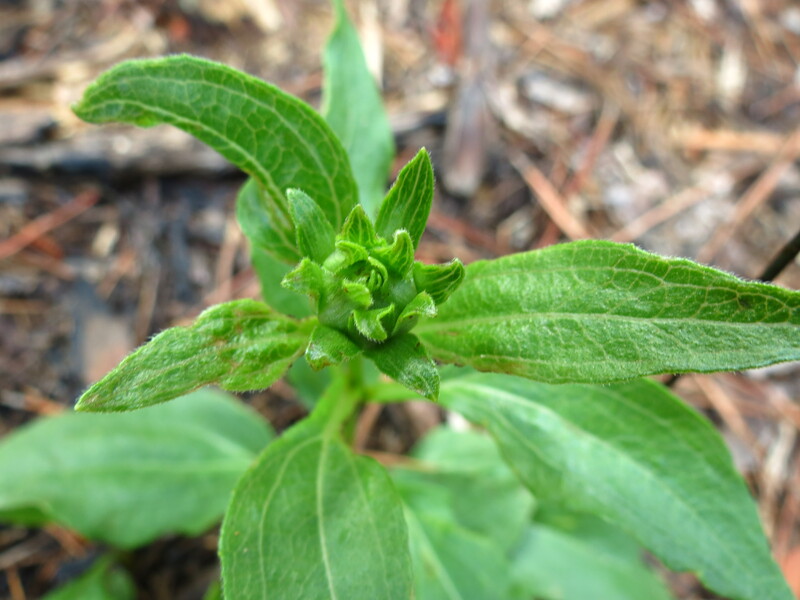 In the second year, early flower buds begin to form in late summer and early fall. The late stages of bud development can be as interesting as the mature flowers. 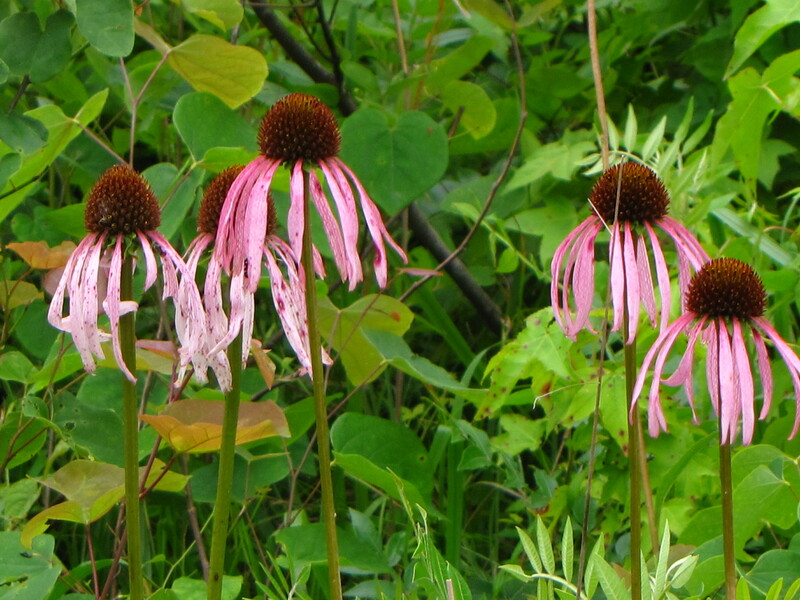 Full bloom shows the characteristic narrow, drooping, light pink petals of the Smooth Coneflower. Seedheads (technically achene heads) form, and the achenes mature over a wide period of time during the fall. The achenes can be easily seen within the seedhead in the photo below. 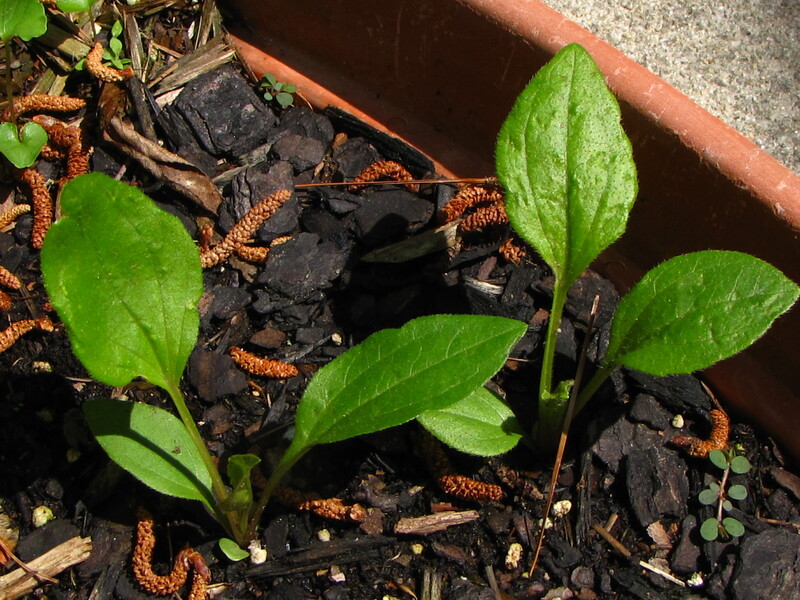 Within a population of Smooth Coneflowers, the entire process, from the germinating of achenes to the ripening of seedheads, averages about seven months, from March through September. From the perspective of an individual plant, the cycle from germination to ripe seedhead takes a year and seven months since they don’t bloom in the first year. The federal Endangered Species Act requires that the U. S. Fish and Wildlife Service review the status of each listed species once every five years. 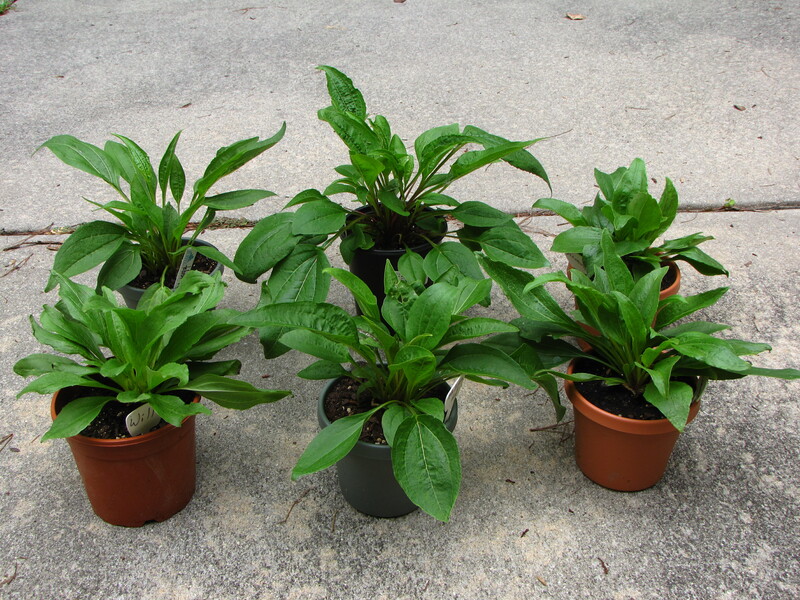 The five year review for Echinacea laevigata was just announced. The Fish and Wildlife Service basically wants any new information about the species that has been observed or collected since the last review five years ago. The hope is that management and protective measures are helping to stabilize and even expand the studied populations. The common name of the Smooth Coneflower is derived from the very tall blooming stem that tends to be smooth and leafless, although small leaves can occur on the stems of some plants. 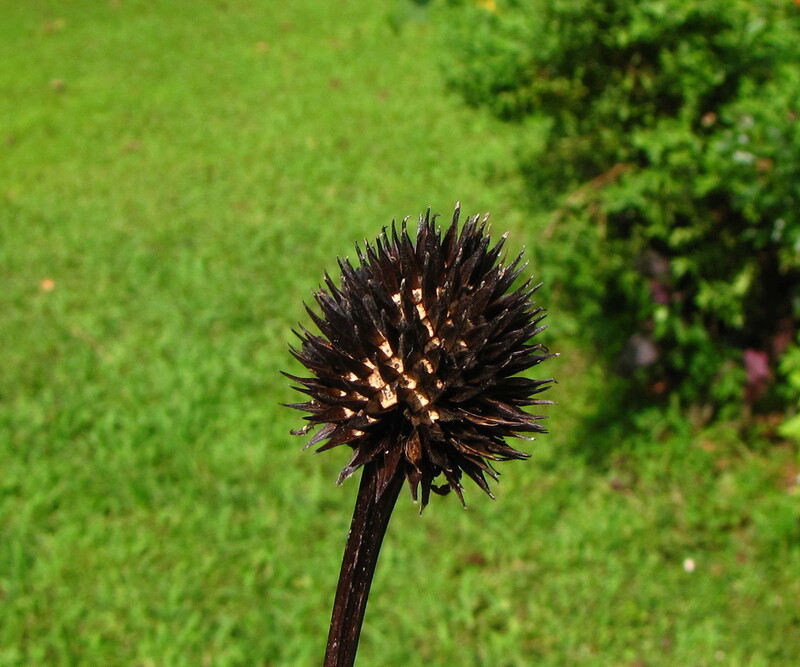 This entry was posted in Uncategorized and tagged achene, B W Wells, Echinacea laevigata, Endangered Species Act, piedmont prairie, piedmont savannah, Plant Protection Program, Smooth Coneflower, Smooth Coneflower Seed Head, The Natural Gardens of North Carolina, U. S. Fish and Wildlife Service. Bookmark the permalink.